During my consultation, Michelle helped me design a customized storage solution for our closets to improve the way we live in our home, shared an appreciation for the KonMari method and how a more organized space in our home can help spark joy. We started the design consultation with Michelle asking about what space of our home I was interested in focusing on and I shared all the details of our closets. She asked lots of questions about the current space, including what items existed in the space and what was currently functional and what was not. I did not have measurements of our closets and wished I'd brought them, as that was the first thing she asked. Our two closets are almost identical, one in our bedroom and the second in our guest bedroom/office. They are actually technically "walk-in" closets, which I was pretty excited about upon first sight. However, you can really only "walk-in" one to two steps, as I soon learned. On each side is one rod to hang clothes and two shelves. My husband improvised a second rod for his side. I can only reach the bottom shelf. My husband and I both enjoy a clutter-free home and our closets do not currently reflect this. Although our closets are currently organized by item, they are still quite disorganized. 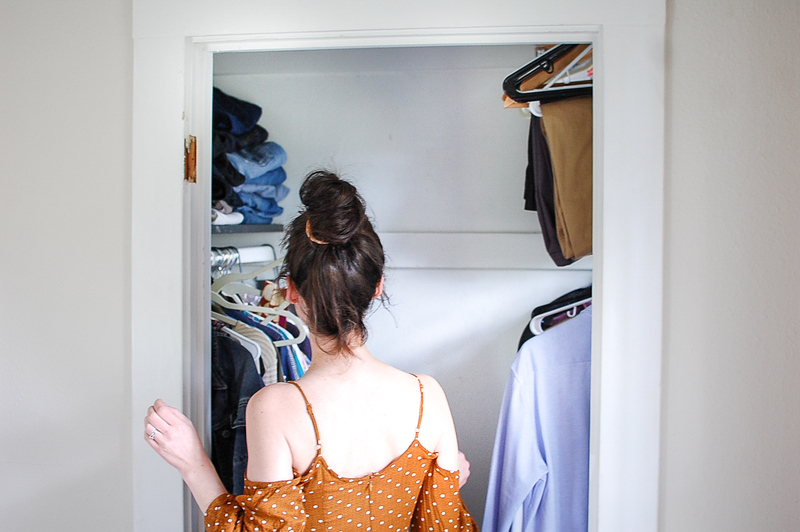 Dresses hang in one closet and tops in another. Jeans on one shelf and sweaters on a cheap hanging shelf, my husband's items on shelves I can't reach and baskets on the floor for scarves. Hangers are not matching and items are completely crammed together. 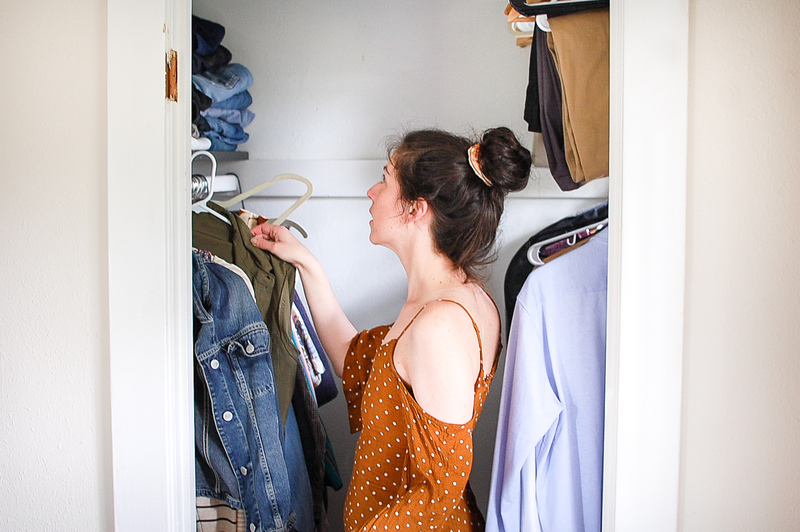 After surveying our current closet situation, Michelle and I worked together to find a custom organizational solution for our closets to foster joy in our home. 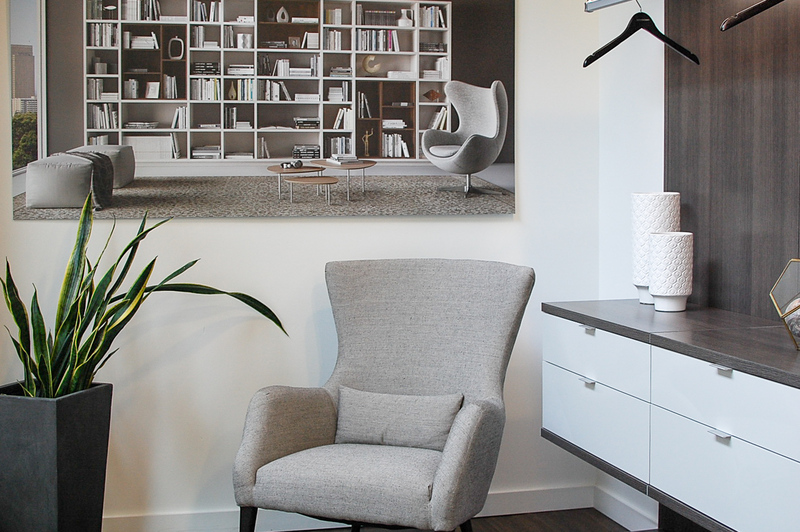 Using examples throughout the showroom, Michelle shared ideas on how we could maximize the tiny space and create more organization. 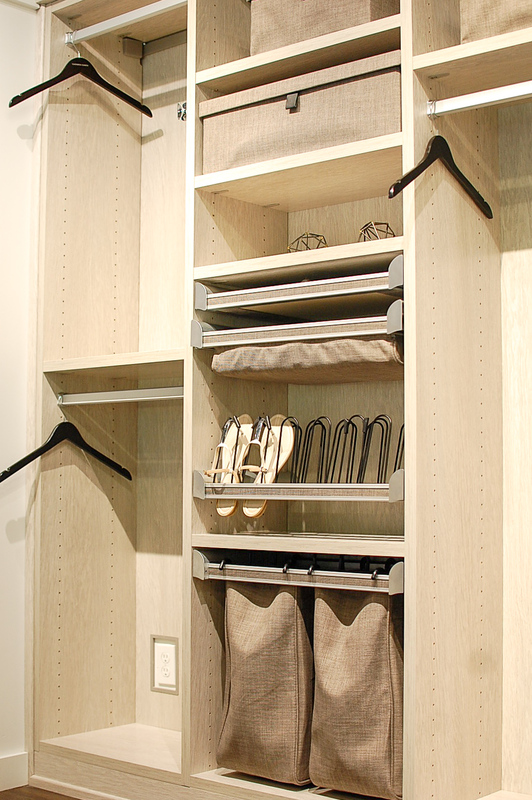 I was particularly a fan of the idea of a jewelry drawer, a hanging space for my scarves and/or bags and a shoe rack that could hold 30+ shoes on just one wall of one closet! 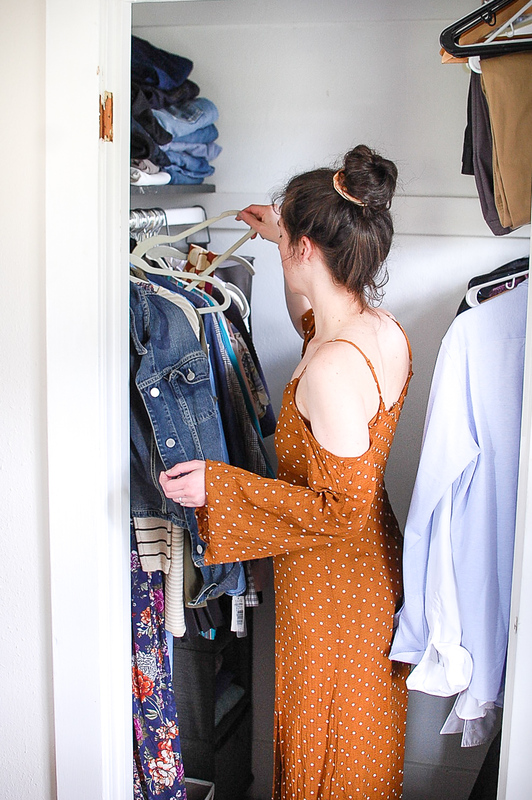 We also talked about elements of The KonMari method and design tips and tricks from California Closets and Marie Kondo that could make our small closet space stretch, which I'm happy to share with you today! Fold clothing and items right. Either hang clothing items on a hanger or put them away in drawers, however folding items and putting them away in drawers should be the main storage method, according to Marie Kondo. Store and fold items upright instead of flat, with the goal of a simple, smooth rectangle for perfect appearance. Folding saves space. Bury handbags into each other to help them hold up shape and make space. Bury by color or type to make them easier to find. Consider leaving only luxury handbags in dust bags. Leave shoes of of boxes and on display. It's okay to toss those shoe boxes! Luxury and special shoes can remain in boxes (like my wedding shoes!) However, DO leave boots in boxes, this helps them maintain their shape by laying flat. Store coats as you would wear and keep in your closet. 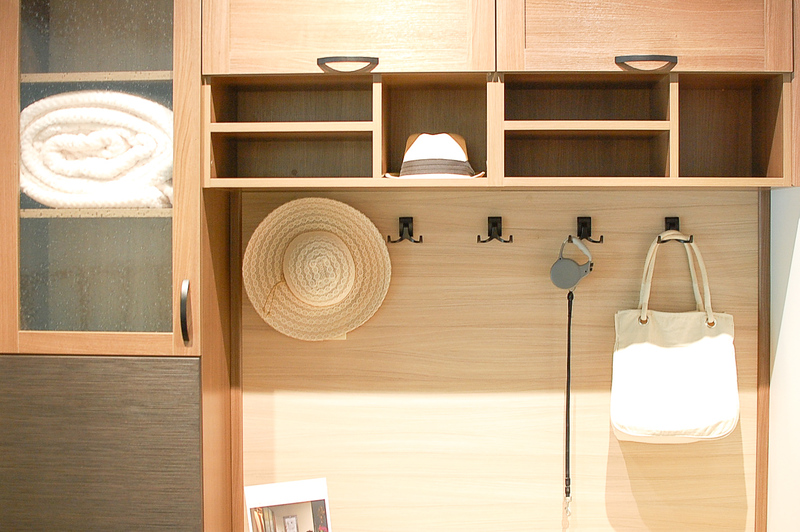 Coats should be stored hanging, not folded, to maintain shape. You can move them to a different location seasonally, but keep in natural habitat, such as another closet versus rolled up in a plastic box or suitcase. 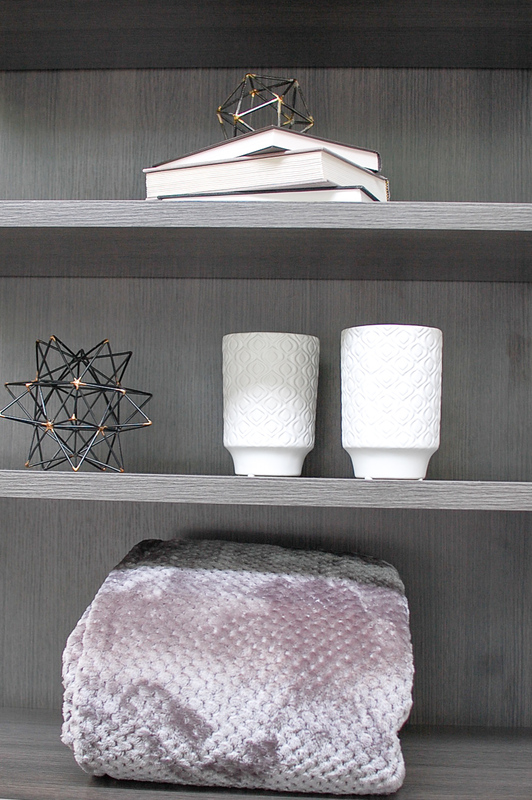 If absolutely necessary to store seasonal items due to climate, keep like items with like items. Store in drawers or shallow bins and use The KonMari method of folding to increase storage space. 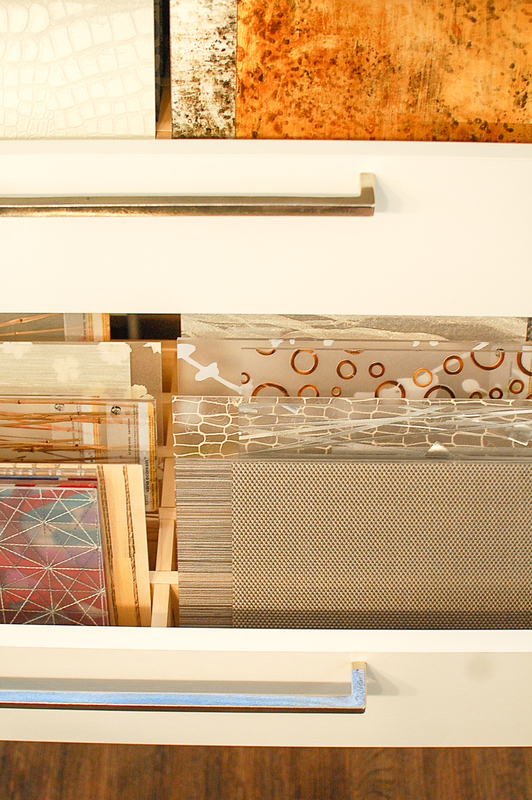 Additionally, we looked over the extensive range of beautiful finishes California Closets has available. From clean and simple white, to imported-from-Italy proprietary textures, it was so hard to choose! All of the finishes are environmentally sustainable and California Air ResourcesBoard (CARB) compliant. We finally settled on Linen and Siena and I was able to take home samples of both. 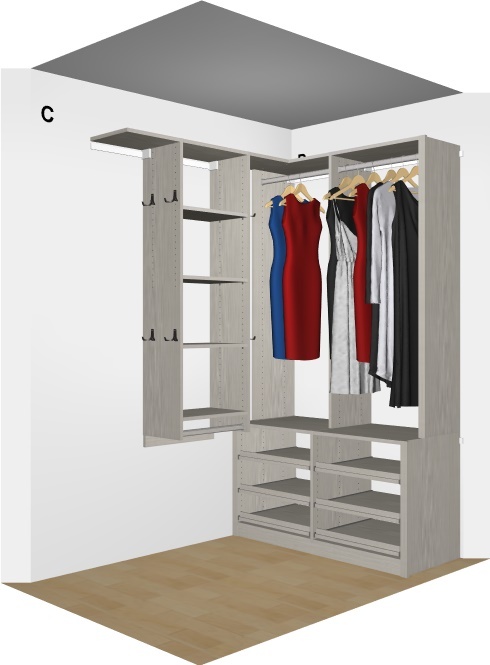 After going over ideas for a customized storage solution for our closet, looking at the different finishes available and talking about some design tips and tricks for making our small closet space stretch, Michelle took our ideas we had talked about and put together a CAD file (images at bottom of post) to show me a couple possibilities for our closet space. I could not believe what she showed me! Serious transformation! The possibilities for our closet space from the design consultation with Michelle at California Closets were beyond anything my husband and I had even dreamed about. Can I snap my fingers and make this happen immediately, please?! At the end of our consultation we discussed next steps for working with California Closets for a custom organizational solution for our closets and Michelle shared that many locations offer seasonal promotions and/or financing options. You can contact your local California Closets for details. I highly recommend scheduling a free California Closets consultation in either one of their showrooms or at your home (they'll come to you!) 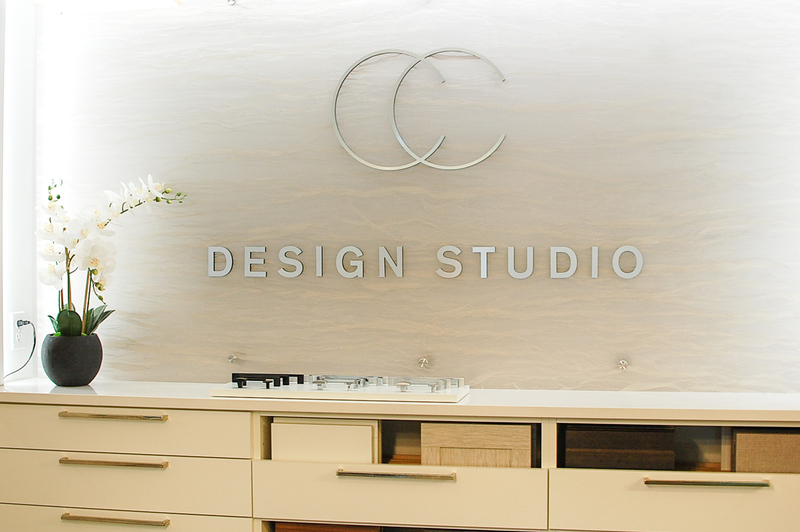 California Closets' professional design consultants are super easy to work with. 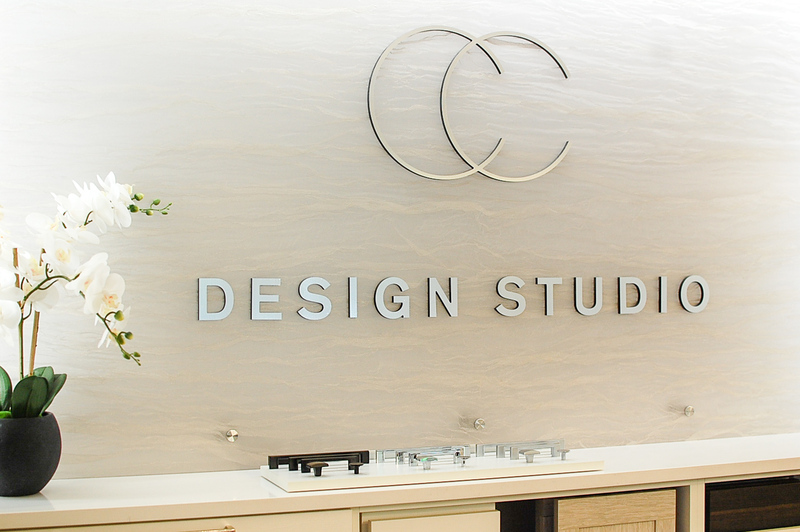 They will collaborate with you to cater and tailor a design for what you want and need, that reflects your own style, fits your home and is within your budget. 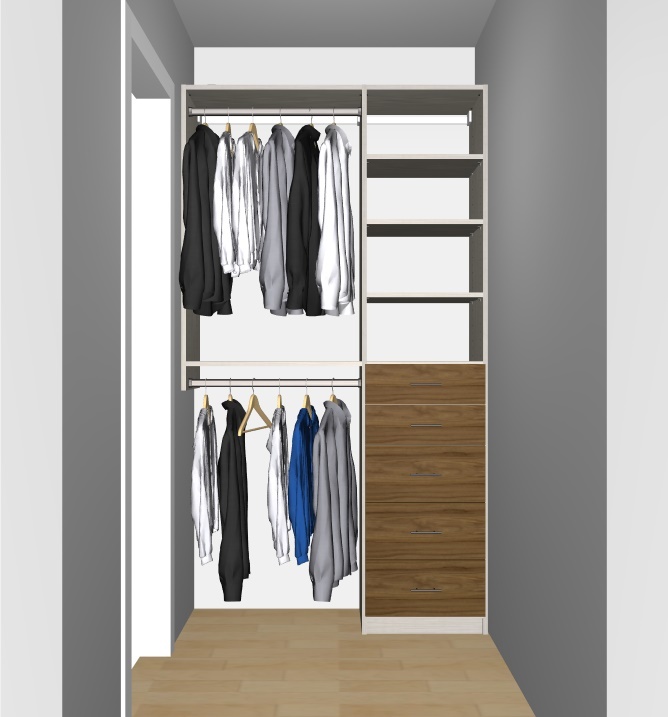 Much more than just closets, California Closets offers custom organizational solutions for any space in your home, big or small. In addition to our closets, Michelle and I also briefly chatted design ideas for our pantry turned mudroom. From garages to media centers to pantries, California Closets improves the purpose and storage potential, and maximizes the space in your home to spark joy. 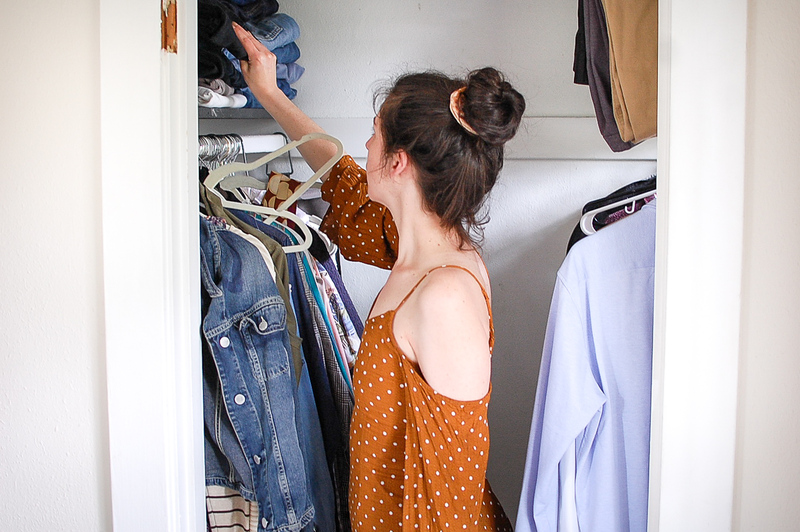 Stay tuned for closet upgrade results, coming soon! I promise these before pictures will soon have an after! 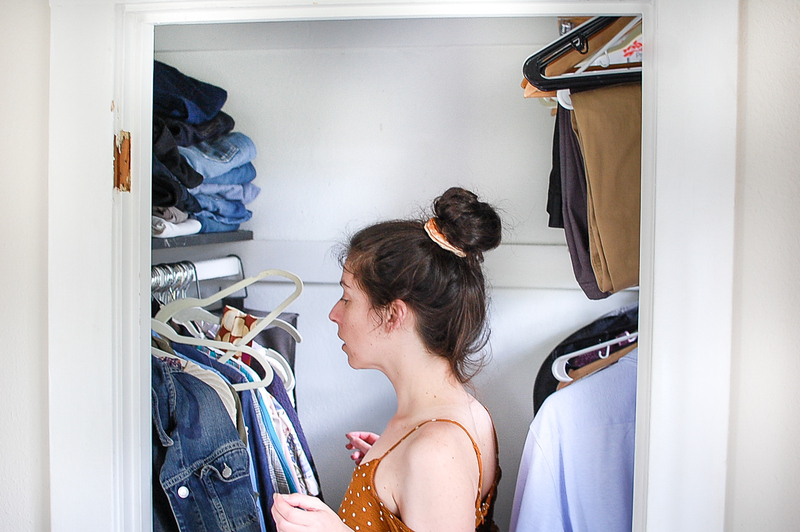 What tips do you have for closet organization and making space stretch? Please leave them in the comments! Inspiring and fun. So great to get organized and find what you want where you know it is...something I still work toward. Inspiring! I also have a vintage cottage with just two closets. What a great idea to talk to California Closet pros for new ideas and cost estimates for options to make it happen. Last year, I felt we got really lucky when we found out this space was available on the date we wanted - and now I know just how lucky we were! I can't recommend these Seattle Wedding venues enough! I have nothing but positive things to say about this place.